Rihanna won’t be able to keep her hands off! 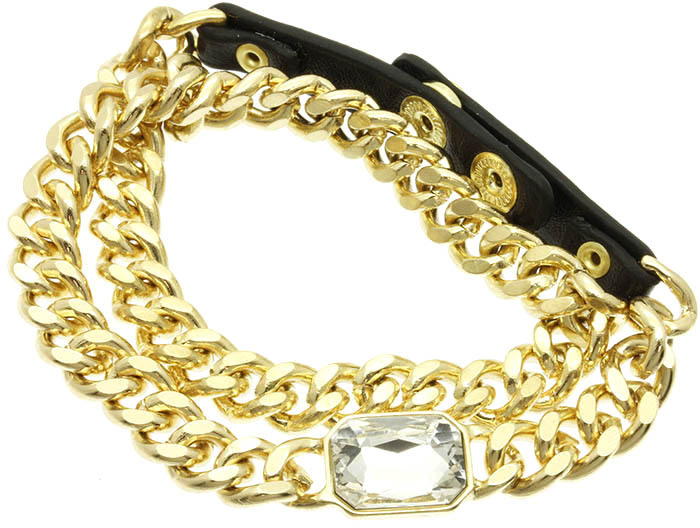 The Irene chain bracelet is all punk and elegance in a wrap-around of gold-plated chain, black leather, clear crystal, and press-stud fastening. Give a touch of attitude to that noir formal floor-length dress. Support jewellery Australia and buy from Oz Bling today. We guarantee high standards of quality at lowest prices.